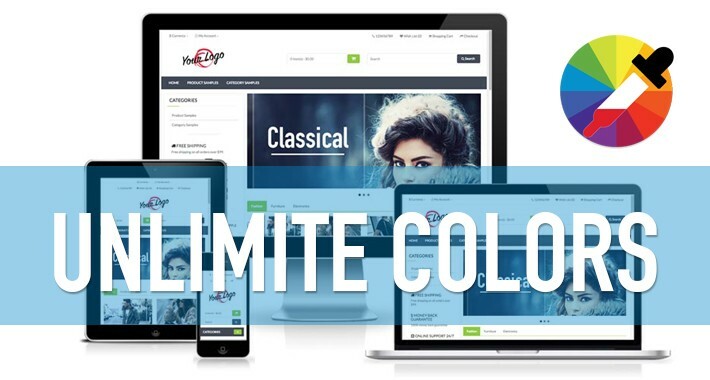 Classical Theme is a responsive, elegant and easy to install an OpenCart system. With its clean and modern look allows you to use the theme for every kind of online shop. Just upload and enable the theme and module, that’s all. ★ Main colors can be adjusted to your needs free of charge! ★ For support, please contact me here. Demo opencart 3.x : DEMO. If you like our theme please do not forget to rate it with stars and write a review in Comments! Thank you!